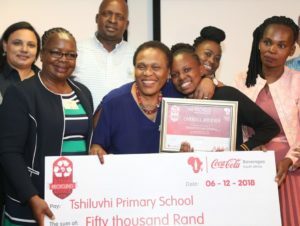 Pretoria claimed top spot at the Coca-Cola Beverages SA Schools Recycling Awards on Thursday, with schools from the capital city winning the coveted prize in both the high school and primary school categories. 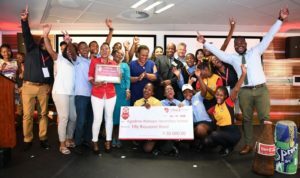 Kgadime Matsepe Secondary School and Tshiluvhi Primary School were declared the winners after collecting a total of 44.2 tonnes and 64.8 tonnes respectively in the record-breaking waste-collection campaign. The CCBSA schools Recycling Programme collected a total of 2324 tonnes of waste in 2018, which was 76% above the target for the year and a 101% increase on the volume collected last year, saving a total of 12 223m3 of landfill space and 1 850 tonnes of carbon emissions. This year saw a total of 700 000 learners from 866 schools participating as the programme continues to grow in from the 40 schools which took part at its inception in 2011. 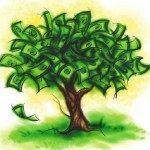 The top schools receive prize money that goes towards upgrading their school facilities, over and above the revenue they earn during the year from selling waste for recycling. Schools are assessed on increased collection volumes of waste, motivation of stakeholders to participate, innovation in the recycling space and encouragement of community involvement. “As a bottling company, it is important for us to deliver quality beverages to our consumers as sustainably as possible. One of the innovative ways in which we seek to achieve this objective is through our Schools Recycling Programme,” says CCBSA’s Head of Enterprise and Community Development, Tsholofelo Mqhayi. “The intention is to create a generation of South Africans committed to ensuring that discarded waste does not end up as litter or on a landfill site,” said Mqhayi. Earlier this year, the Coca-Cola Company announced an ambitious goal to help collect and recycle the equivalent of every bottle and can it sells globally by 2030 through its World Without Waste strategy. 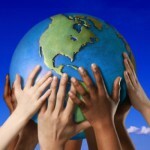 This would include making packaging 100% recyclable globally by 2030. In South Africa, the company is working to support healthy, debris-free environments and oceans through organisations such as PETCO (PET Recycling Company), to increase collection and recycling of packaging in the most risk-prone areas for marine debris.